Featuring captivating, apocalyptic imagery, the Revelation of Saint John is one of the most widely read biblical texts in the world. Penned by the Apostle John in the early part of the 1st century, Revelation is considered the authoritative Christian account of the end of the world. 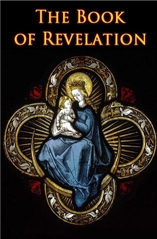 Told by the Apostle John in story-form, Revelation presents the author’s divinely inspired vision of Armageddon. The book includes many classic images that have taken hold in Western culture. The Four Horsemen of the Apocalypse, the Antichrist and the number of the beast are described in detail in Revelation. Serving as the last book in the New Testament of the Bible, Revelation is regarded by Christians to predict the second coming of Christ. The book features a detailed accounting of the rapture and eventual apocalypse. The Revelation of Saint John has spawned countless scholarly studies, poems and fictional works focused around the concept of Armageddon.